You have to set the service MapsBroker to ‘manual’ startup. 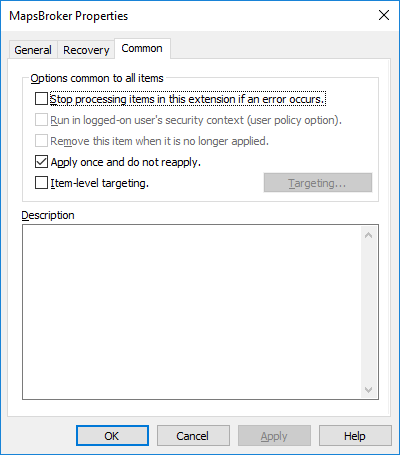 Within a large environemnt with Active Directory it is always best to configure a GPO (Group Policy Object). I prefer to use the a GPO Extension to apply it only once. 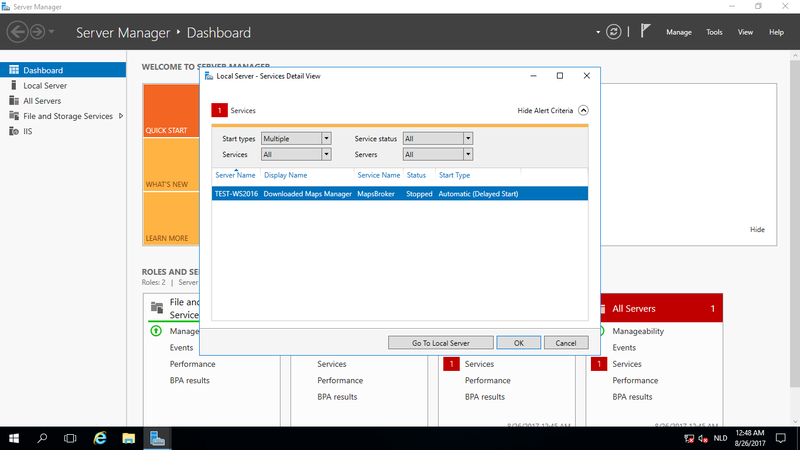 So that server administrators are able to enabled it anytime they want, in case this service is required to be up-and-running. And at least you get rid of this warning. The last but least way is set it manually. 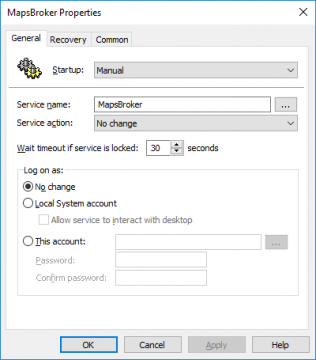 By going to the services console (services.msc) and set the startup setting of the MapsBroker service to ‘Manual’. I hope this was informative to you. Thanks Boudewijn! I don’t like disabling services without knowing exactly what they do. 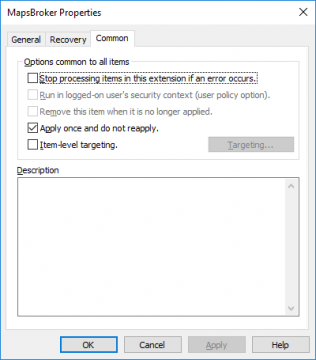 At creating or editing a GPO (Group Policy Object) on Active Directory.